When you switch to new iPad, you can now easily move data from your old device to a new one by simply restoring iPad from iTunes backup. Moreover, when you encounter with any iOS issue on your iDevice, restoring iPad from iTunes can be the solution to fix the problem with ease. To learn how to restore iPad from backup and restore iPad to factory settings with iTunes , continue reading this guide. Part 1: How to Restore iPad from iTunes Backup? 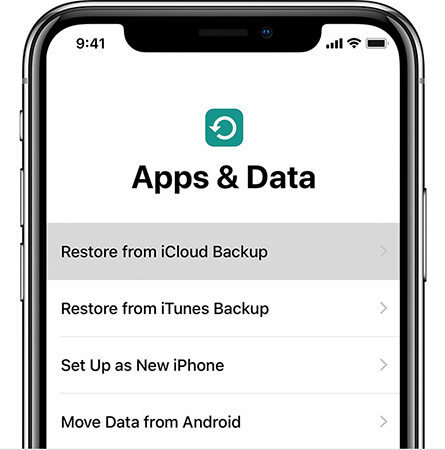 Generally, users take a backup of their iPad data with iTunes so that when they switch or want to get back data, they can easily restore iPad from iTunes backup. There are two ways to do it and here, we have mentioned both ways in detail. Restoring iPad from iTunes backup will erase your iPad entire existing content and settings and it will restore data from the last backup you have made. Step 1: To begin it, run the latest version of iTunes on your system and then, connect your iPad to the computer using a USB cable. Step 2: After that, click on "Device" and then, go to the "Summary" tab. Here, click on "Restore Backup" as shown in the below figure. Step 3: Now, select the most relevant backup by looking out its date and size. Finally, hit on "Restore" button and wait until restore process is not completed. Note: if your iTunes backup is encrypted, then you need to enter the password to restore iPad from encrypted backup. That's all on how you can restore iPad from iTunes backup. No doubt, it is easy, but it has many downsides. First of all, you can't preview iTunes backup data before restoring and sometimes, data is overwritten. Want to restore iPad from iTunes backup, but don't to lose data? Use UltData-iPhone Data Recovery. This software is an iTunes backup extractor that allows users to download data from iTunes backup. Moreover, it let users selectively restore data from iTunes without overwriting data in your iPad. Thus, whenever you faced any data loss situation with your device, this iPad recovery software can help you in recovering data from your iPad. Step 1: After downloading and installing this program on your system, connect your iPad to the computer using a cable. Then, choose "Recover Data from iTunes backup file" and then, select backup file from which you want to recover data. Step 2: Next, preview and select desired files you want to get back. Then, click on "Recover" button and select the location on your system where you want to save recovered data. When you want to restore iPad to default settings to fix iPad issues, there are two ways that you can use to restore your iPad to factory settings with iTunes. Are you facing iOS issues on your iPad such as charging issue, slow performance or many more? In all these scenarios, the best way to resolve problems is restoring iPad from iTunes. This method will also erase your iPad existing content, but not settings. Step 1: Run iTunes latest version on your computer and then, connect your iPad to the computer using a digital cable. Step 2: Next, tap on device icon and then, navigate to "Summary" tab. Here, click on "Restore iPad" option to restore iPad. Step 3: Thereafter, wait until the restore process is not finished. Once it is completed, your device will reboot automatically. Step 1: Open iTunes and connect your iPad to computer. To put iPad in recovery mode, press and hold down power and home button together until you don't see iTunes connect icon your iPad screen. Step 2: Once iTunes detects your iPad in recovery mode, it will pop up a message either to update or restore iPad. Tap on "Restore" option. If you forogt your iPad password and iTunes won't restore, an iOS password unlocker tool can help you. 4uKey is recommended for its user-friendly interface and high success rate to remove/bypass iPhone/iPad locked screeen. It can factory restore the locked iPhone/iPad with simple steps and perfectly support iPhone XR/Xs/X and iOS 12.1/12. All you need to do is install 4uKey and run it on your computer, connect your disabled iPhone/iPad to computer, and click Start button to initiate the process. Prior restoring the locked iPhone, you need to download the firmware package. And then, just wait for a few minutes for the program to restore iPad and remove password. When the process is done, your iPhone is restored to factory settings with all data and settings including the password removed. iPad is stuck and need a restore to fix it? Use ReiBoot as it empowers you to factory reset iPhone/iPad without to fix iPad problems quickly. This software is mainly designed to fix all iOS issues such as iPad frozen, iPad stuck in recovery mode, iPad won't turn on and many more. Step 1: Download and install the software on your system. Then, run it and connect your iPad to the computer using a cable. Choose Factory Reset iPhone (iPad also) from the top menu. Step 2: Click Fix Now in the next screen. Step 3: Now, download and import firmware package for your device and select the destination location where you want to save it. Step 4: After that, click on "Start Repair" and once repair process completes, your iPad will be rebooted automatically. Hence, now you have learned how to restore iPad from iTunes. If your purpose is restoring iPad from backup, you can use either iTunes or an iTunes extractor to achieve; If you forgot your iPad password, then 4uKey offers the eaiest way to restore iPad. To fix iPad not working problems, iPad system repair software can help you accomplish.